Founder & chief lover of pets. Connie Buchanan is a Dynamic Speaker. Connie Buchanan was a school teacher for 20 years before she decided to completely change careers. Her decision to become a full-time groomer was sealed by her enjoyment of breeding and showing Champion Standard Poodles. In 2006, she purchased her first mobile trailer and called her business Zoom Zoom Groom. Her small business on wheels, located in Regina SK, grew to three mobiles and in 2009 she added an “IN” Salon. To date, her business has expanded to include a large Salon employing 18 staff members, the addition of a feline grooming / boarding division, named PreZoomably Cats: Feline Groomz & Roomz, and a Saskatchewan Registered Vocation School: Apex Academy of Professional Grooming & Animal Arts, that enables students across Canada to become Canine or Feline Stylists. 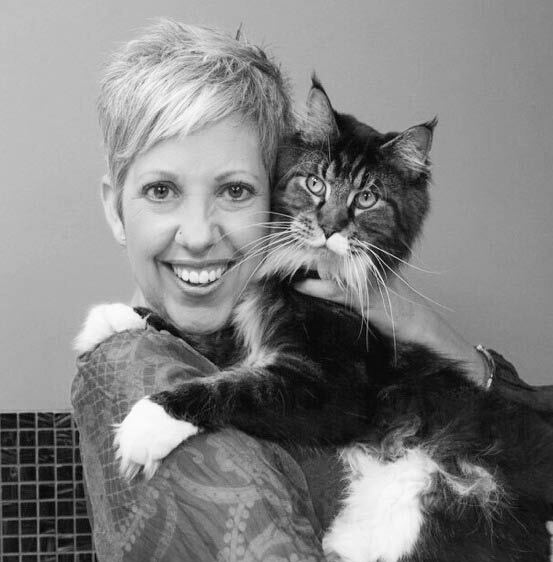 She is a Certified Feline Master Groomer and she is a Canadian Certifier for the National Cat Groomer's Institute. Her passion is pets, and her fulfillment and gratification comes from making all dogs and cats shine in their health & beauty! This workshop will provide an introduction to the world of cat grooming, or for those who already groom cats an opportunity to learn more productive techniques and skills. Are you nervous about cat grooming? Have you wondered about adding cat grooming to your dog grooming business? Would you like to be able to market your cat grooming business so you can get top dollar? Is it a career you are interested in, but you are nervous about it? Connie will come to your area to provide a full day of exciting education in the Cat Grooming world!